Velky Krivan is the highest peak in the Mala Fatra at 1709m. Despite being not that high, it gives you the great feeling of high mountains. From the Vrátna cable car station, it takes about an hour walk and there is no specific difficulty to complete the ascent. Once at the top, the view (on a sunny day) is magnificent and even allows a sight over the High Tatras mountain range when looking East! 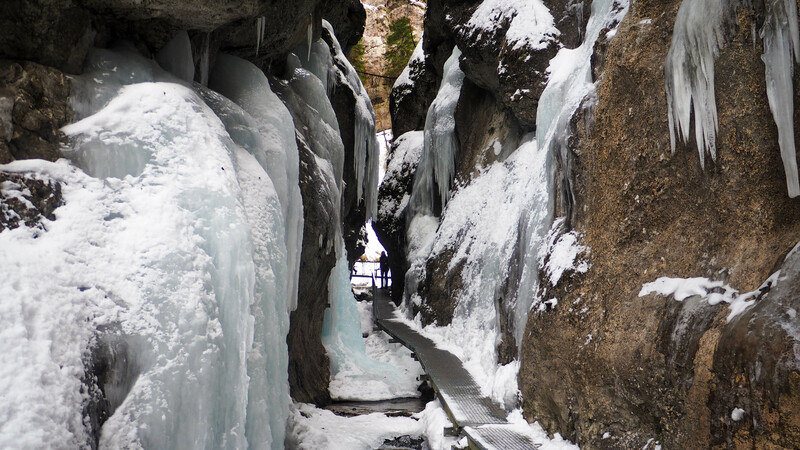 Located near the village of Štefanovà, the gorges are an absolute delight for your eyes during winter. There are more than 20 frozen waterfalls which offer images of a fairy tale. You will find yourself walking in narrow sections along the way giving you the opportunity to be as close as possible of this mother nature’s miracle. Platforms and ladders are there to make it easy for you. Another option for the brave, those up for something more challenging can be found too. Follow the trail marked blue, called “Horne Diery”. More physical abilities are required as you’ll have to climb using some ropes. That section is wilder, so you also need to stay focused but the reward is worth the adventure. (Using crampons is recommended). 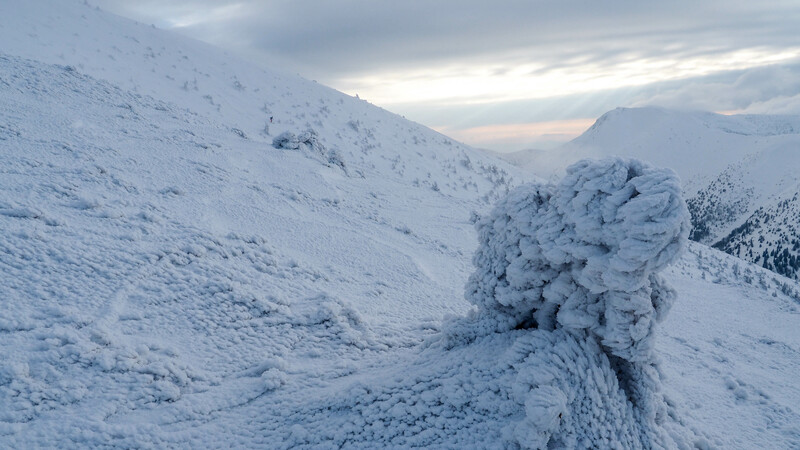 In some areas, mostly when taking on elevation where the wind makes his way in winter, it is not rare to encounter a frozen tree. They look like nothing but weird sculptures and this is fascinating to observe, when looking closer, it reveals many tiny frozen details. Some free riders like to slalom between them, why not you? Once tried you won’t even think of drinking another carbonated soft drink during your stay. But what is Kofola? 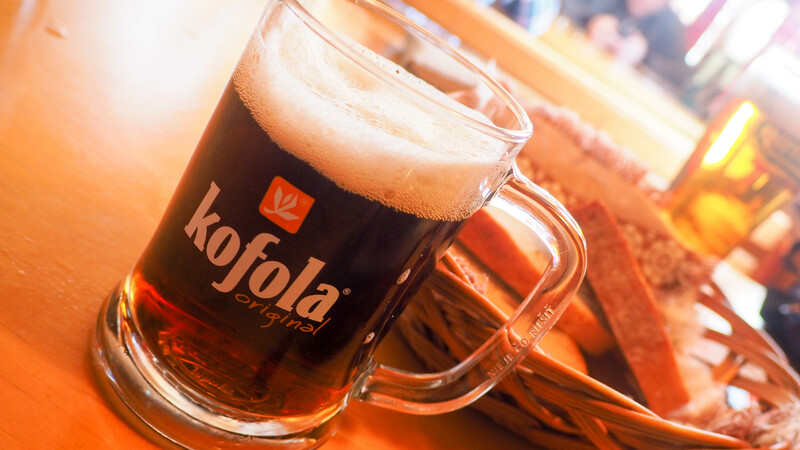 Kofo syrup, the main ingredient of Kofola, consists of 14 herbal and fruit ingredients (such as extracts from apple, cherry, currant, or herbal aroma). Well, it is tasty and refreshing but also good in between taking shots with the locals. This is the highlight of a trip in the Mala Fatra. It takes a full day to complete the hike. It starts down the valley next to the ski resort of Vrátna. Embark for the cable car ride which takes about 20 minutes up to the base line of “Chleb” summit. From there, tight your crampons well on your shoes and start following the red marked trail. 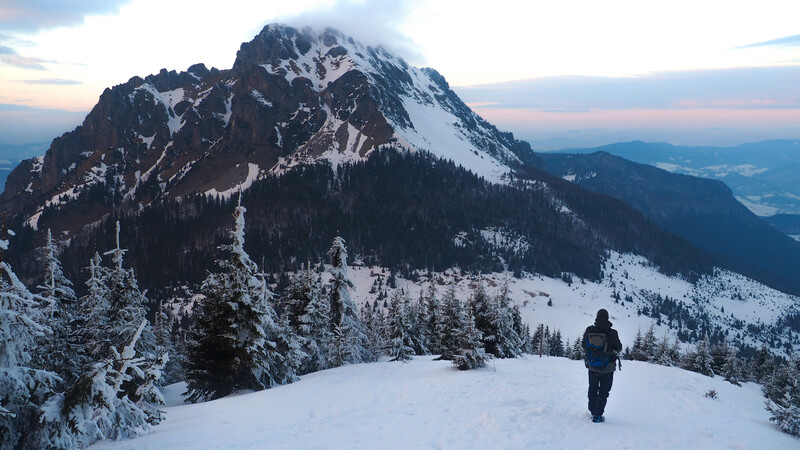 This hike links all the peaks to “Rozsutec” mountain (photo). You will be able to witness the beauty of the landscape from both sides as walking along the edge. Every mountain is unique and makes the scenery very diverse. This is not dangerous, but again be aware you are in the mountain. Mid-afternoon reserves a tremendous steep section on your way up to “Stoh” summit (a naked hill) but the view at the top is jaw dropping. Between “Stoh” and “Rozsutec” the trail turns down through a pine forest (marked as green) until the village of Štefanova where it ends. It is possible to ignore the green trail and keep going up to Rozsutec but not on the same day and only experienced hikers should attend. In most local restaurants, they serve this tasty desserts called “Ovocné zemiakové knedlíky”. 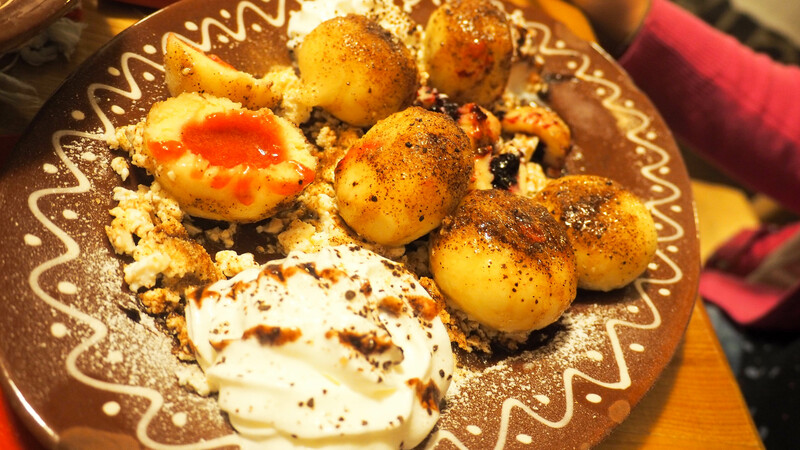 Which means “Fruit potato dumplings” no need to say it is pretty sweet! So, write it down and make sure to have some while being in Slovakia. You think that because it is foggy there is nothing to see? Wrong! Fog and trees go well together especially in winter. Pick any forest path and go. You’ll experience what it is like to be in a sort of painting. Listen to the silence and get your camera ready cause you might end up taking great shots you’d never get in other circumstances. 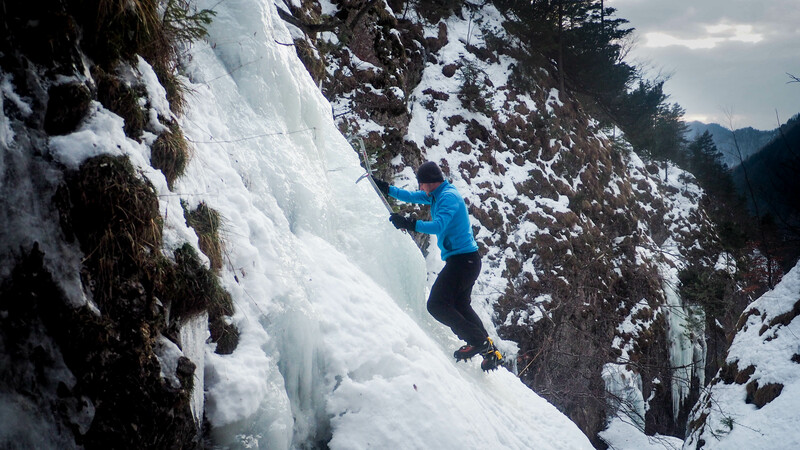 As the region is well powered in term of waterfalls, why not get a trained ice climber guide and try something new. Make sure you have the proper equipment and don’t put yourself at risk. 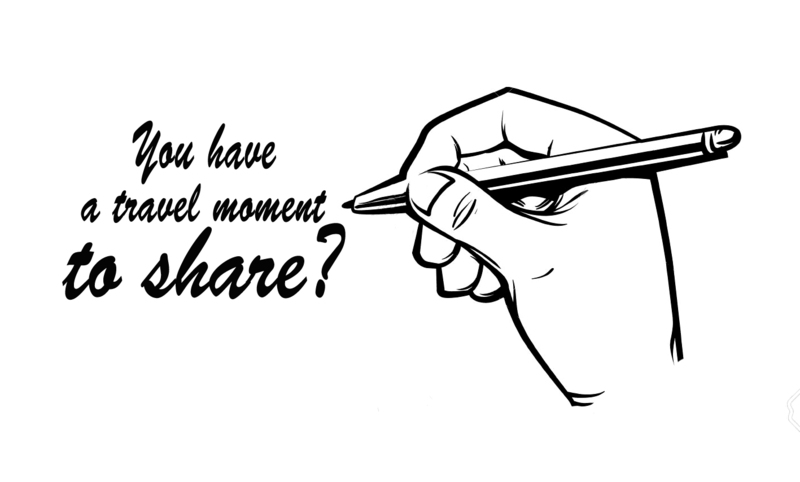 This should be something you won’t forget. This part of the country is also known for its thermal water benefits. After a long week pushing your body, sometimes to extreme conditions, it is fair to let it properly recover. The town of Rajecké Teplice is ideal to finish a trip in the Mala Fatra. 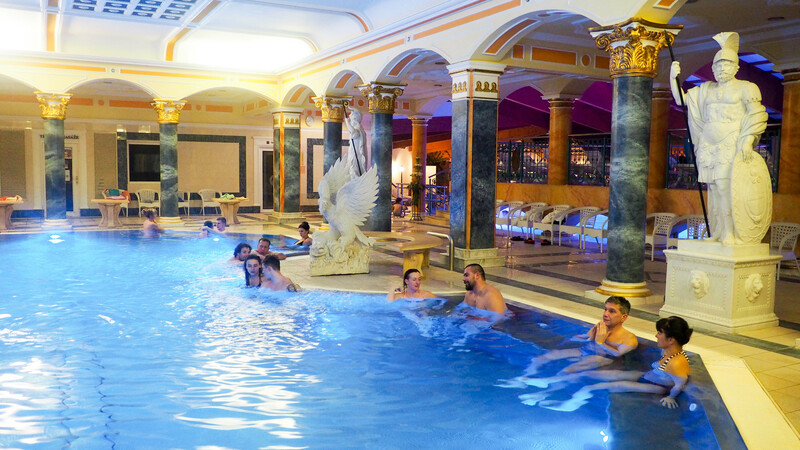 Go to Spa Aphrodite and its many pools, steam baths and saunas. This healing water is just fantastic and a must. Timbered houses with ridge roofs, galleries and pointed or linear wall decorations have been preserved in Čičmany. Of particular interest are the very specific white patterns which are painted on the exterior walls of the houses to decorate them. 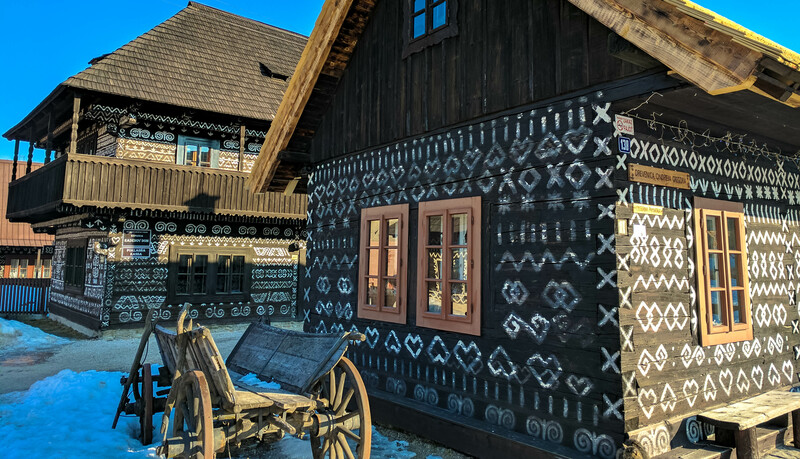 The local folk music, special folk costumes and folk dances of the village have been preserved as well making the village a very nice place to stop by and go visit. 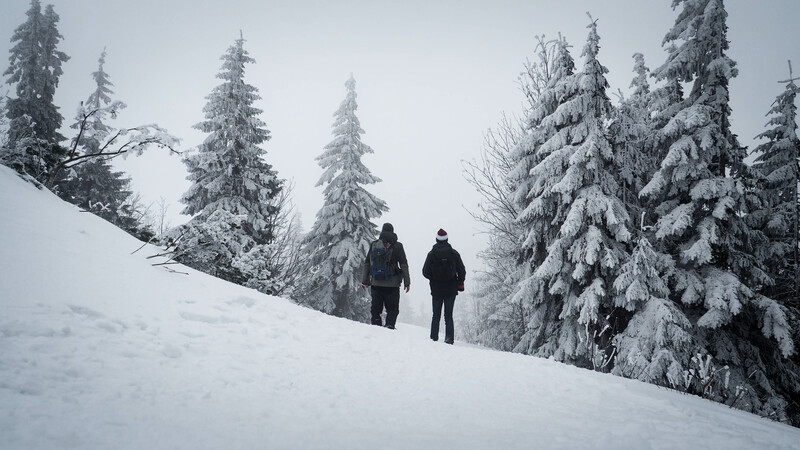 You may wonder what equipment is required for this type of weather conditions and activities. Well in fact not much. Good hiking shoes for sure, winter jacket and other layers for cold temperatures. 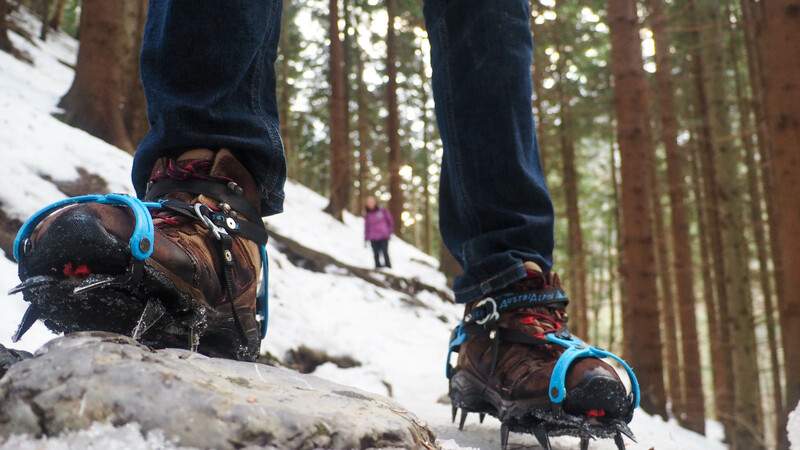 But the most important we found was renting crampons to fix on the shoes. It actually helped a lot in energy saving and ability to walk on hard snow and icy surface. Regarding accommodation, we stayed in Boboty Hotel and we couldn’t be happier. The staff took good care of us. They have good standards with great packages including food, ski pass, sauna and a swimming pool. There is a nice bar and disco, ideal to make local friends as the region is not known for mass tourism. 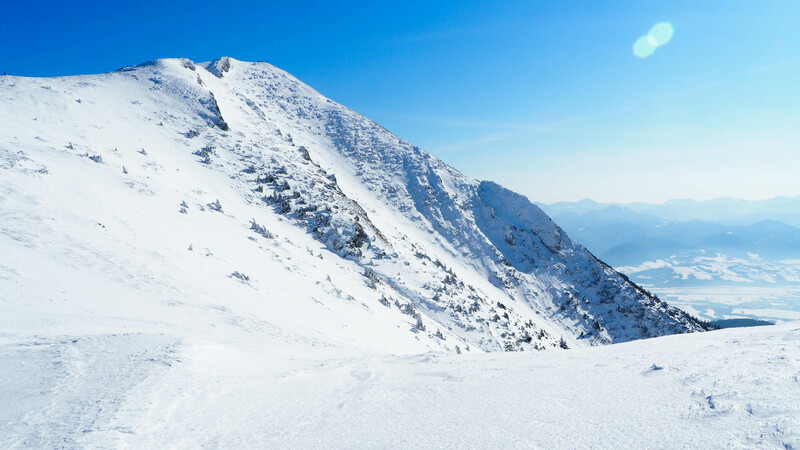 Share the post "10 moments you could live in Slovakia – Mala Fatra"